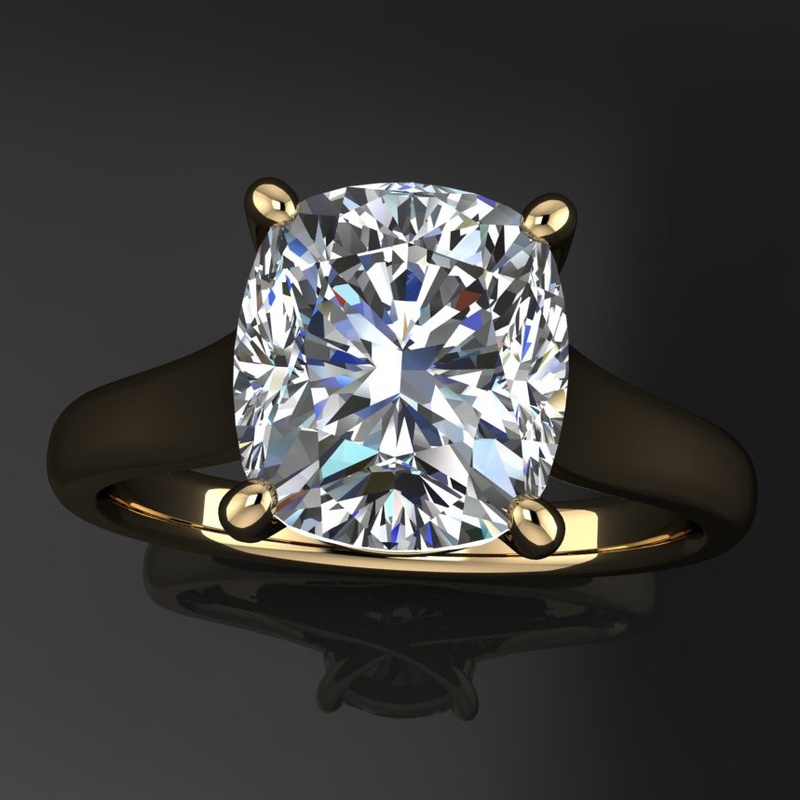 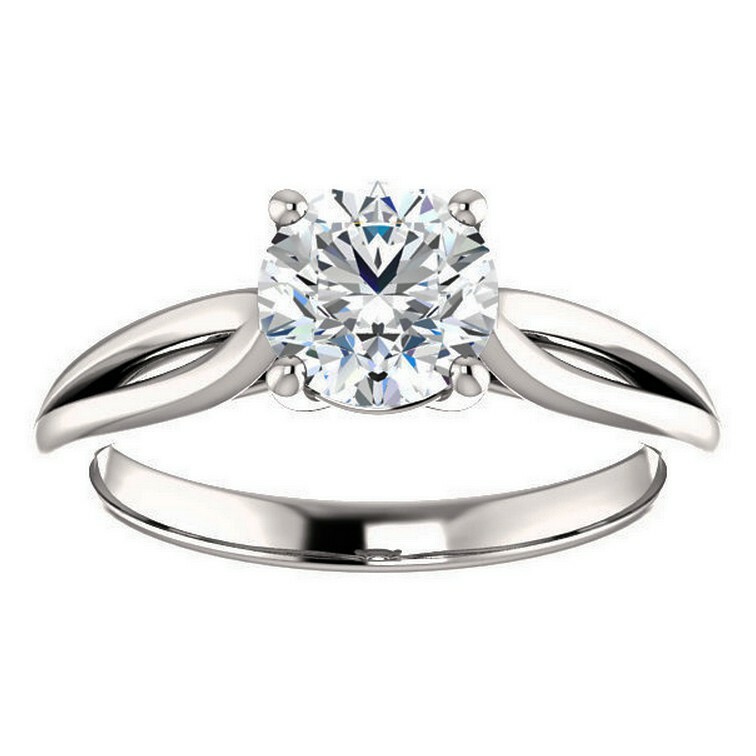 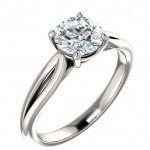 A simply perfect 1 carat Forever Brilliant moissanite is hand set in recycled 14k white, yellow or rose gold. 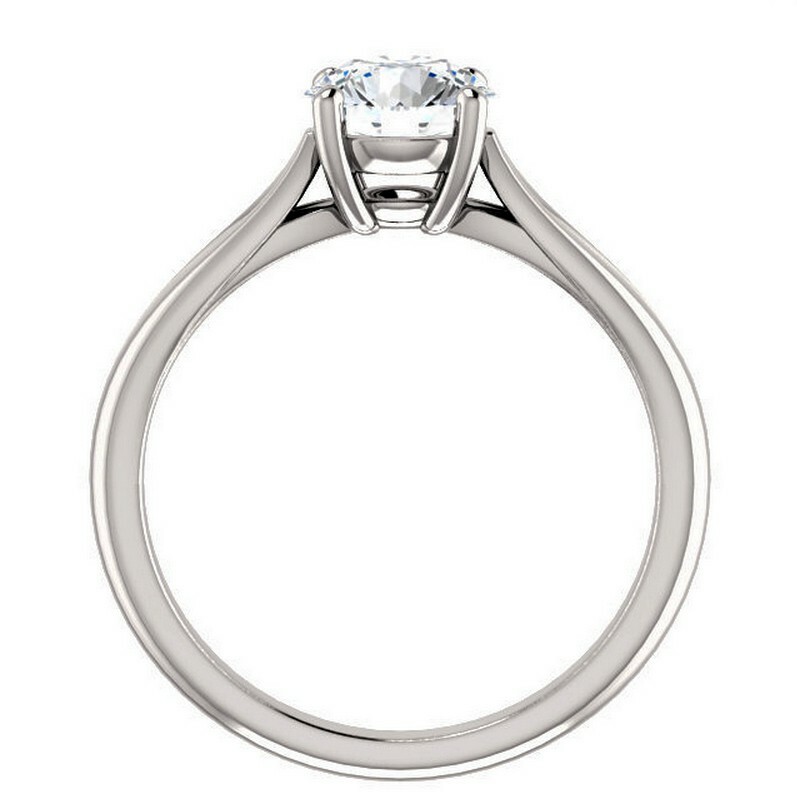 The swooping double band lends a feminine feel. 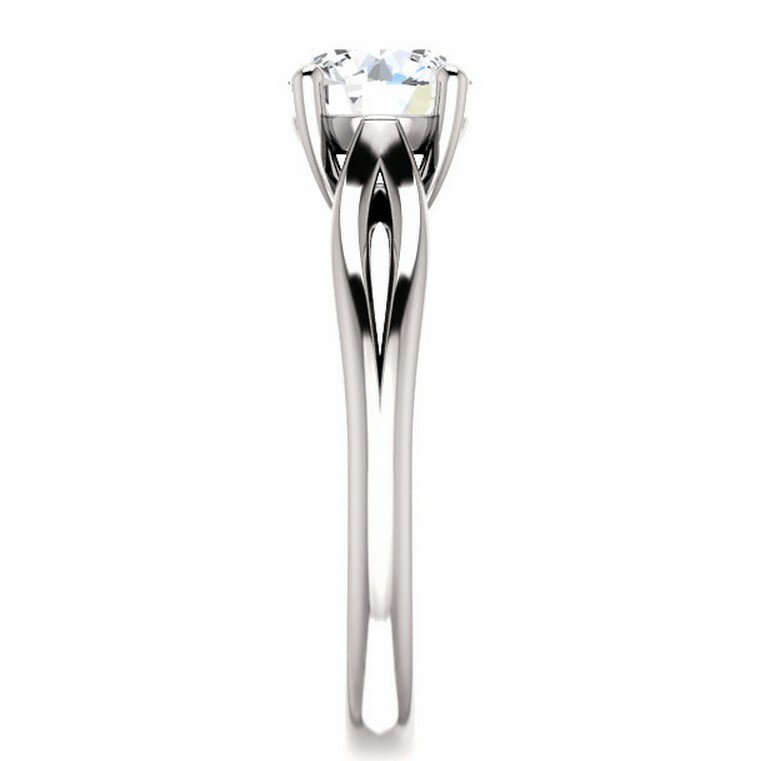 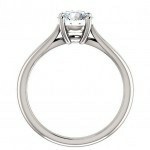 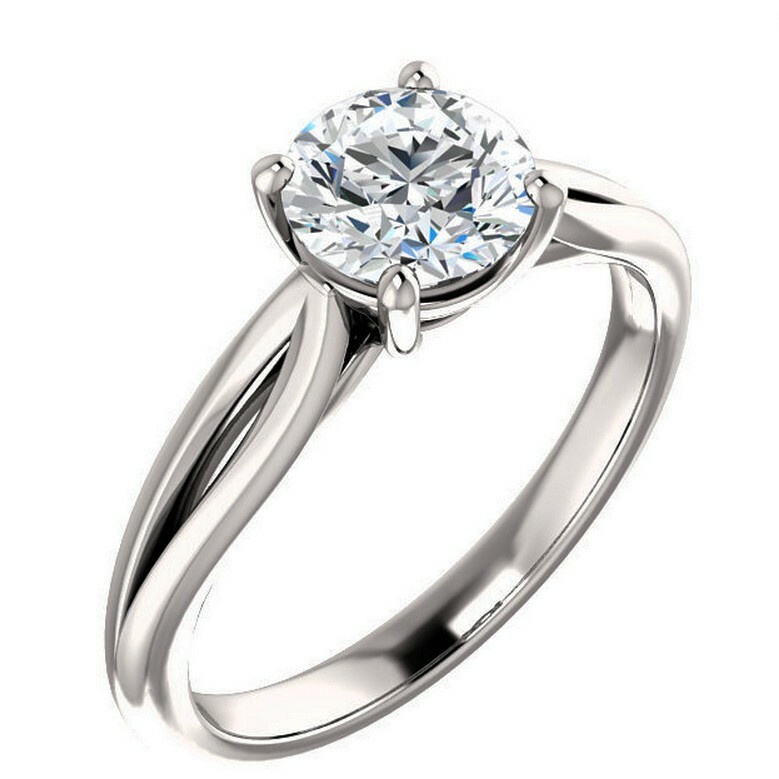 This setting would pair beautifully with a diamond or sapphire studded wedding band. 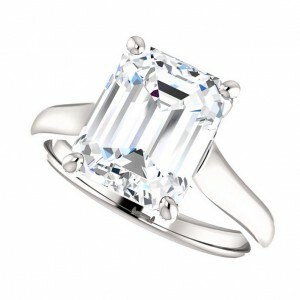 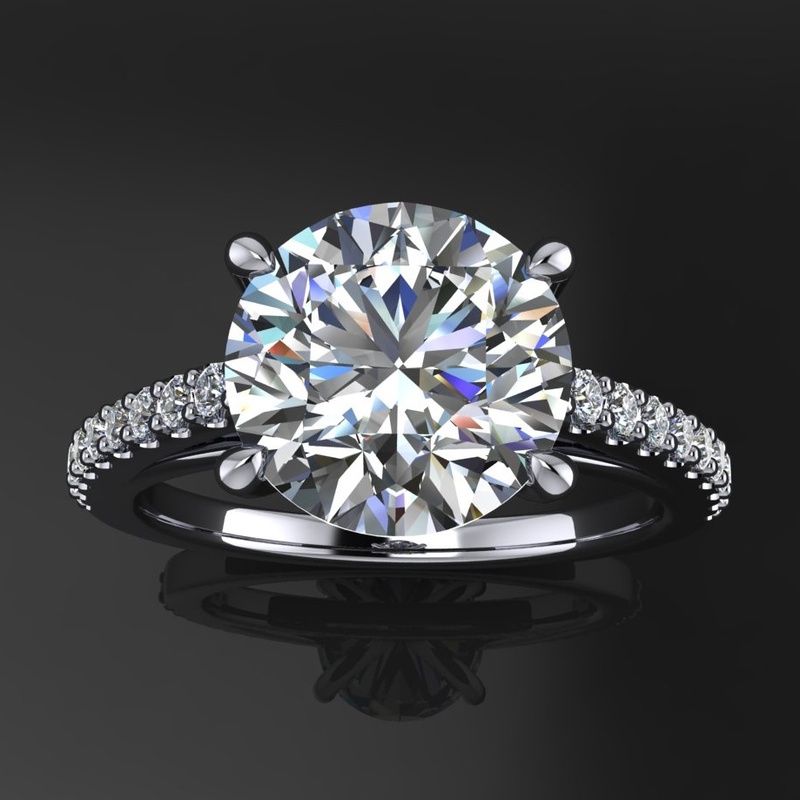 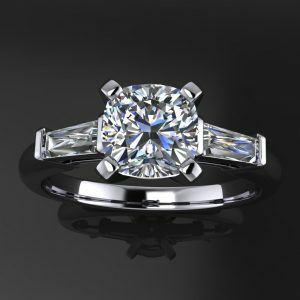 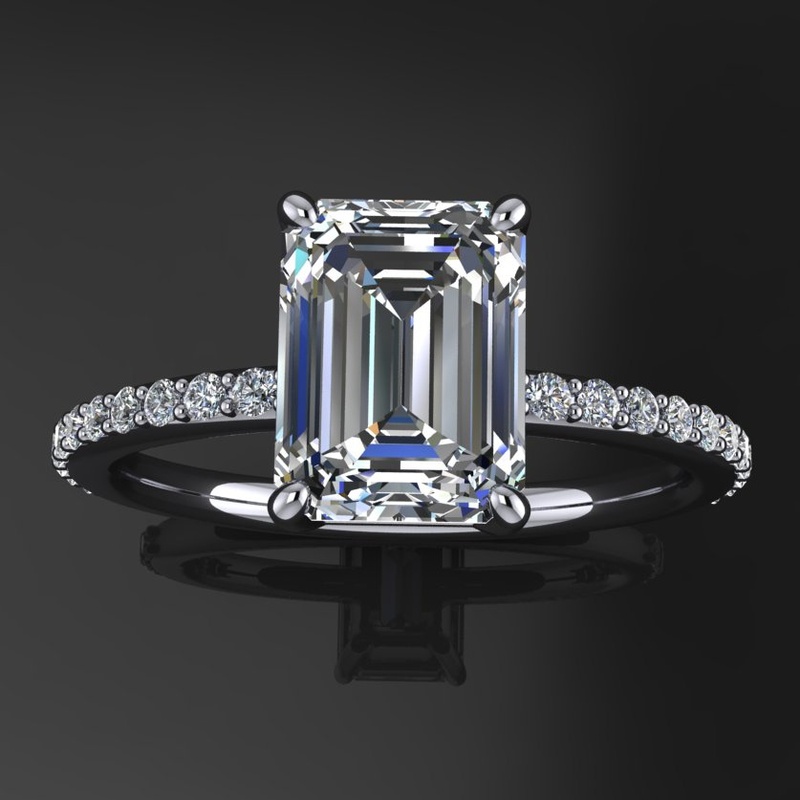 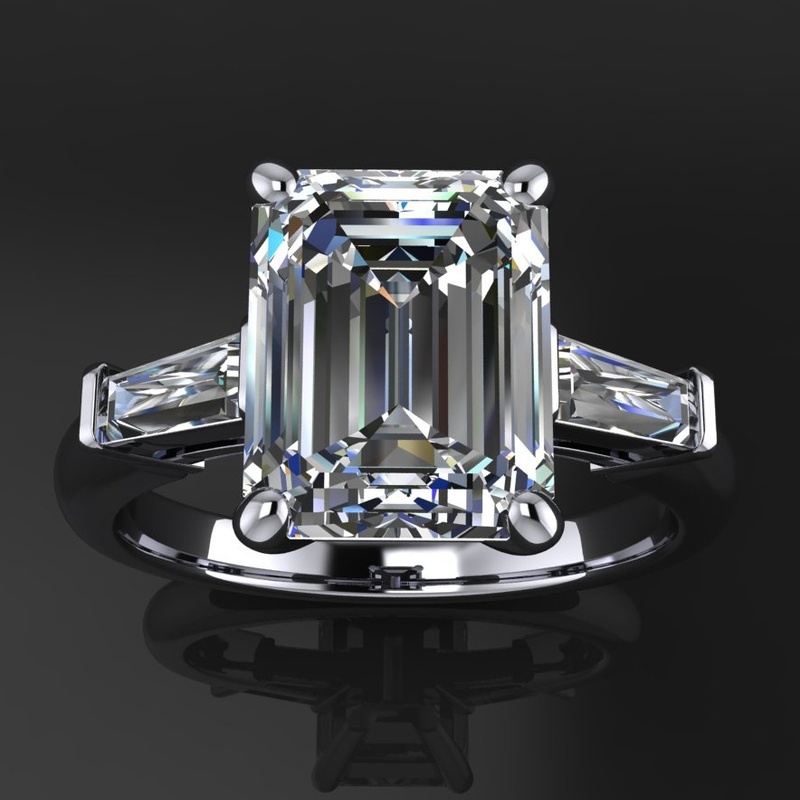 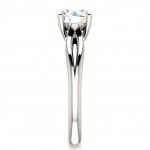 One 6.5mm round Forever Brilliant Moissanite, by Charles & Colvard. 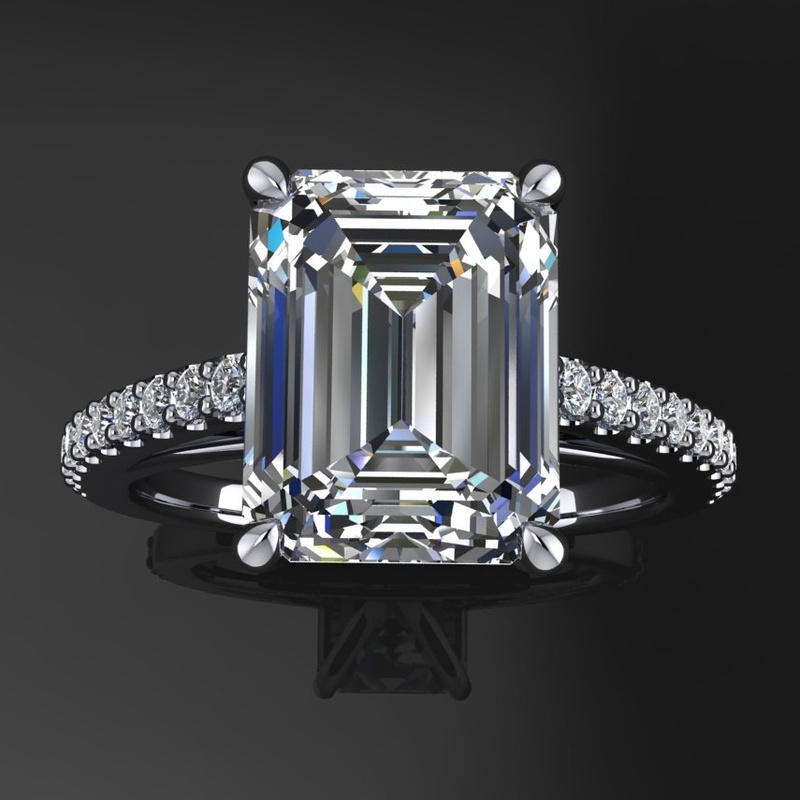 Equal to a 1 carat diamond. Includes gem certification and their limited lifetime warranty.